Native American spiritual beliefs are under attack. On Friday, April 10, the 9th Circuit Court of Appeals heard arguments for, and against, Native Americans being allowed to worship at their ancient sacred site inside Ivanpah Solar Electric Generating Facility. The immediate concern is gaining access; the larger issue is freedom of religion. At the ECOreport, we have been aware that Lundahl’s film captures a key transition in the history of renewable energy, as concentrating solar, which had been developed in the US, began to return in the hands of international firms building large solar facilities in the Mojave desert. Lundahl ventured to these remote locations to capture responses from Native American elders whose communities and tribal groups have had a connection to the land since time immemorial. The film is about resulting conflicts in values that define renewable energy in its current form, and provide a consultative view about how we implement these technologies today, and in the future. By Dr. Allan Hoffman, Senior Analyst at U.S. Department of Energy (retired). I was invited to review the documentary film “Who Are My People?” because of my professional familiarity with concentrating solar power technologies. I was responsible for the U.S. Department of Energy’s broad range of renewable energy electricity programs for several years during the Clinton Administration. “Who Are My People?” is well worth watching. Filmmaker Robert Lundahl’s “Who Are My People?” (53 min., 2014) tells the unusual but sadly familiar story of the conflict over the land between First Nations and development, between well-meaning environmental values and precious indigenous knowledge. 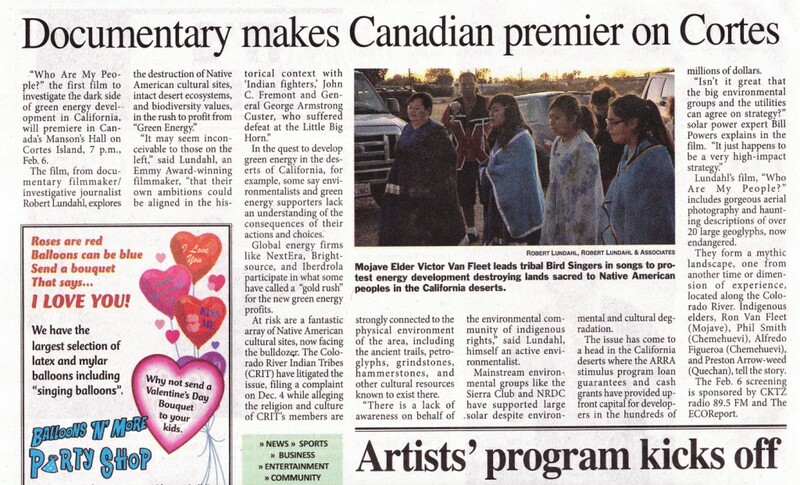 The Campbell Mirror is the largest circulation newspaper on Northern Vancouver Island (“Documentary Makes Canadian Premier on Cortes”). Aboriginal Values, Beliefs, Title And Treaties Trampled, Says Union of B.C. Indian Chiefs vice-president Chief Bob Chamberlin. 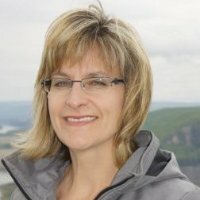 In advance of the premiere of Robert Lundahl’s Documentary “Who Are My People?” in Canada (2/6/15 Mansons Hall, Cortes Island, 7:00 pm) http://planet-rla.com/the-ecoreport-promo-who-are-my-people-canada-premiere/, Peace Valley Environment Association Coordinator Andrea Morison made the connection between the development of utility scale solar in the deserts of California and BC Hydro’s Site “C” project at Peace River, British Columbia. In British Columbia, a 52-mile stretch of northeastern B.C.’s Peace River valley is planned to be dammed and submerged—an area the size of Canada’s capital, Ottawa—a valley that is habitat for ungulate species including moose, elk and deer, as well as wolves, and which serves as a vital hunting, fishing and trapping ground for First Nations. The activities are protected under Treaty 8, which covers three provinces and a landmass twice the size of California. In California, according to “Who Are My People?”, Robert Lundahl’s latest documentary, indigenous tribes and cultural groups oppose “Fast-Tracking” of energy developments, some of which are to be constructed or are being constructed on, around and near vast Native American cultural resources in the area. Biodiversity values are also endangered according to Dr. James Andre, Director, Sweeney Granite Mountains Desert Research Institute, UC Riverside. Andrea Morison, MA is Communications Consultant and Facilitator to Peace Valley Environment Association: “There are definitely many parallels between the issues the people of SW CA faced in their battle against large solar and our battle with Site C. Very similar in many, many ways!” Morison continues, “I really liked the fact that the film focuses on the human impacts in terms of culture, and that there was very little on the technical side of things associated with solar installations. People care about people – there is no need to inundate us with technogarble – just connect people to people. Indigenous people and rural communities suffer in the shadow of energy development on both sides of the border. From Indian Country Media Network: The Site C dam has drummed up controversy since the 1980s, when the provincial B.C. Utilities Commission shelved the decades-old proposal, ruling it was not needed. After the province resurrected the idea in the mid-2000s, the government declined to send it back to the commission, instead holding a series of reviews that concluded in October 2014 that impacts on First Nations could not be mitigated. The Mojave, Chemehuevi, Hopi and Navajo tribes’ reservation is just a few miles northeast of the site, putting the project firmly within their ancestral homelands, the complaint alleges. They have sued under the National Historic Preservation Act, the National Environmental Policy Act, the Federal Land Policy Management Act, and the Administrative Procedure Act, according to Courthouse News. The Union of B.C. Indian Chiefs promised to stand with Treaty 8 bands “to ensure that BC Hydro’s Site “C” does not proceed, according to a statement provided Indian Country Today. The Peace River was already dammed twice in previous decades, the Union stated, and the harm to First Nations has been cumulative ever since. “Approval of this projected signals to First Nations across B.C. that their values, beliefs, title, aboriginal rights and treaty rights will essentially be trampled upon, cast aside and disregarded whenever government deems a project economically important and significant,” argued UBCIC vice-president Chief Bob Chamberlin. A First Nation whose treaty lands will be flooded when the $8.8-billion Site C dam is completed in a decade is vowing to step up its ongoing legal battle against the project after it was approved by the province last week. West Moberly First Nation is already embroiled in several court cases seeking a judicial review against the 1,100-megawatt hydroelectric project, slated to start construction next July. Now the band’s chief says that in addition to the five existing lawsuits—and a sixth in the works—he intends to file for injunctions to block the thousands of permits that BC Hydro needs to start work. Hi Roy – sorry for the delay in getting back to you on this. I find life extremely busy right now – I have two children, ages 10 and 15, so hopefully that explains a good part of it! 🙂 The other thing was, I kept looking for a 2 hour time slot to watch it and was pleasantly surprised when I finally sat down to watch it that it was under an hour. This is definitely one of the plus’ of the film! There are definitely many parallels between the issues the people of SW CA faced in their battle against large solar and our battle with Site C. Very similar in many, many ways! I really enjoyed it. I am going to answer your specific questions below first and then do an overall review piece for you. What did you think of it? In terms of quality & content. I thought the quality was great. I loved the old footage and photos – resonates with me and I believe will also resonate with a large segment of the population to which this film will appeal. I also loved the music – so much so that I actually wrote down the artists and plan to look them up – the first time I have ever done that from film credits in my life! I really liked the fact that the film focuses on the human impacts in terms of culture, and that there was very little on the technical side of things associated with solar installations. People care about people – there is no need to inundate us with technogarble – just connect us to the people. I was confused about the fact that at the beginning of the film, the narrator states that the Sierra Club supported the large scale solar. Yet at the end of the film, the Sierra Club rep was speaking against it and recognized the range of detrimental impacts. I don’t recall any explanation for the change of heart. There’s no doubt that those geoglyphs are extremely interesting – so rare and make us extremely curious – great attention grabber. Different than the usual ecosystem-type and cultural concerns. Does anything surprise you? What about the fact this is “green” technology? Given my focus on energy issues for the last 4 years, it doesn’t surprise me that there are detrimental impacts associated with this type of energy infrastructure. I really don’t know alot about the solar option, but never thought it was a ‘perfect’ answer. I had heard that there are issues with the mining practises associated with the extraction of materials used to make panels. It seems, according to a few of the people in the film, that solar may have a place on rooftops and in parking lots. I imagine, just like many alternative energy technologies, there are a wide range of designs which can be built to accommodate various needs and locations and minimize impacts. “Who Are My People?” a documentary film by Robert Lundahl, will leave you thinking that the English language is at a deficit when it comes to allowing one to accurately describe, in a single word, what we now, inaccurately label ‘green’ and ‘renewable’ energy. Lundahl brings you to the southwestern California desert, a seemingly perfect location for the world’s largest solar installations. Afterall, what could be wrong with capturing all that California sunshine on a blank desert landscape? Plenty, it turns out. In fact these massive solar installations take up huge quantities of land and on this particular landscape lies some of the of the world’s greatest, unsolved mysteries! But apparently, ‘green’ and ‘renewable’ energy trumps those mysteries of the land, at least according to the California government who gleefully promotes the projects. It occurs to you that corporate and government entities conveniently capitalize on the commonly embraced terms ‘green’ and ‘renewable’; they can’t believe how fortunate it is that our language presents such deficits that allow them to ‘foil’ the public so easily. How many among us, have been led to believe that a ‘green’ and ‘renewable’ energy source such as solar is a ‘good’ thing? Who Are My People prompts us to think harder about how accurately these terms describe potential energy solutions; seek a better range of energy options that have truly minimal impacts…and, who knows, maybe we’ll come up with a few more words to add to the Oxford dictionary. See: www.whoaremypeople.com. Filmmaker Robert Lundahl discusses the “Green Destruction of the Desert,” Death Valley Jim Radio Program, KPTR Palm Springs, September 27, 2014. “The scrutiny of big solar has been unrelenting, with every hiccup parsed for insight into solar market trends. In California the industry has weathered projects that have been put on hold (Blythe Solar), withdrawn (Rio Mesa), suspended (Hidden Hills) or failed outright (Carrizo, Calico, Beacon Solar and Imperial Valley Solar). Some moribund projects have been the victim of the delays and cumbersome requirements involved with siting massive power plants on public lands and dealing with environmental and cultural sensitivities. 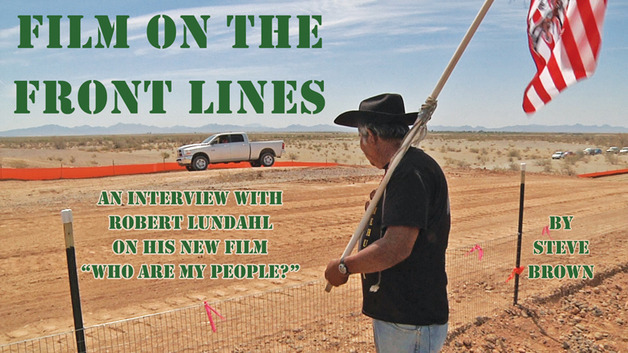 Filmmaker Robert Lundahl’s path has paralleled that of The Sun Runner’s coverage of industrial solar power projects and their impacts on both environmental and Native American cultural resources since at least 2010. Now, Lundahl has released a powerful new film, Who Are My People?, that tells the story of the very real impacts made by enormous multinational corporations such as Chevron, Bechtel, and even Google, upon Native American cultural and sacred sites. With a “David vs. Goliath” battle over the destruction of these sites between multinational corporations—with cooperation from the federal and state governments (and usually the tacit cooperation of much of the mainstream media), pitted against tribes,a small but growing group of activists, desert residents overwhelmed by the number and size of these projects, and independent media, projects have scalped desert tortoise habitat, slaughtered desert foxes and burrowing animals, surrounded towns and agricultural operations, erased Native American geoglyphs and buldozed burial and cremation grounds, and wreaked untold havoc upon cultural and historical resources that cannot be recovered or restored. -Steve Brown, Film on the Front Lines, The Sun Runner Magazine, Read More. Comment on a proposed large solar energy installation is coming in after the California Energy Commission (CEC) published its initial assessment, and one of the most striking pieces of feedback comes from a nearby tribe. Formal comment on the CEC’s Preliminary Staff Assessment for the Palen Solar Electric Generating System by the Historic Preservation Office of the Quechan Indian Tribe in Yuma was posted to the CEC’s website Wednesday, and that comment minces no words about the project, or about the regulatory process that they feel is pushing the project along despite opposition. -Chris Clarke, KCET Rewire Blog. Read More. (See Related Stories). Their report also stated that, “ … indirect impacts, of a cultural or spiritual nature, can only be identified by members of the community who value the resources culturally and/or spiritually, in this case Native Americans. This is particularly important for the mitigation of impacts to ethnographic resources that rely on the formal Section 106 government-to-government consultation process with Native American groups as an information source for impact assessment and mitigation recommendations. If you or I were to dig up a single Joshua tree or pick up a desert tortoise, even to move it out of harm’s way, we would be subject to serious fines. But “green” projects rip up thousands of Joshua trees, agave, sagebrush, several varieties of cactus and assorted weeds and flowers, which provide food and shelter for tortoises, snakes, lizards, rabbits, coyotes, wild sheep, rats, mice, roadrunners, grouse, ravens, quail, jays, hummingbirds and much more. They also grade up the desert patina and leave the disturbed earth subject to massive and blinding dust storms. No heed is given the hazardous waste created during manufacturing or left behind at the end of their life cycle. Lundahl also points out in the film that huge amounts to taxpayer money is propping up these “green” projects in the form of grants and tax credits. -Thomas Mitchell, Commentary, Who Are My People?” Elko Daily Free Press. Read More. A group concerned with the preservation of Native sacred sites in the Colorado River valley has charged that the federal government isn’t reaching out to local Native people as the law requires on discussions of local desert solar projects. In a formal comment letter sent to the Bureau of Land Management, Alfredo Figueroa, founder of the Blythe-based group La Cuna De Aztlán Sacred Sites Protection Circle, charged that the agency had failed to notify local tribes of a July meeting in Blythe to discuss the Blythe and McCoy solar projects, both of which are proposed by NextEra energy for a desert plain west of the Colorado River. That plain is the site of a number of geoglyphs held as sacred by La Cuna De Aztlan and other local Native groups. Some of those geoglyphs have already been damaged by previous solar construction. -Roy L. Hales for CleanTechnica (The World’s Number One Renewable Energy Website). Read more. Most everyone thinks solar energy is a good thing. It’s clean, renewable and will help climate change. Only if it’s done properly, says Robert Lundahl. The California documentary filmmaker is incensed at the rush to big projects that are damaging the Mojave Desert environment and threatening the cultural heritage of California tribes. -Dave Becker, KNPR, National Public Radio, State of Nevada Program. Listen. It is no coincidence that the Las Vegas film premiere of “Who Are My People?” is on August 13 and that the National Clean Energy Summit 6.0 takes place the same day. The Secretary of the Interior, Sally Jewell, Secretary of Energy, Dr. Ernest Moniz, Chairman Jon Wellinghoff of the Federal Energy Regulatory Commission and Senate Majority Leader Harry Reid will be there along with an array of Governors, Senators, former Senators, the CEO of the American Wind Association, the Director of the National Renewable Energy Laboratory etc. will all be at the summit. Emmy Award winning Film maker Robert Lundahl has invited them to the showing. “They should be there because they need to understand the impacts of their policies,” Lundahl said. -Roy L. Hales in Native Currents, Native News Network. 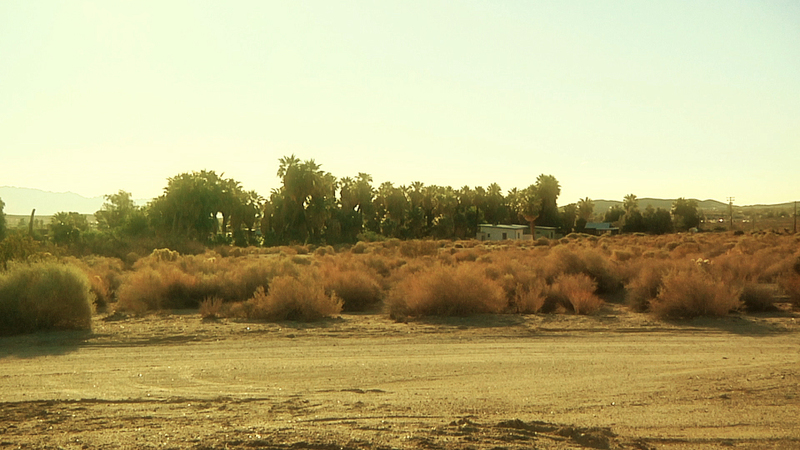 For filmmaker Robert Lundahl, the idea of the west and the desert inspired him from an early age. The vastness of the land and the symbol of having the open wilderness ahead of you was an image that has stuck with Lundahl throughout his life. Now, he’s hoping to preserve that feeling with his latest documentary “Who Are My People,” which examines at U.S. energy policy and its effects on desert ecosystems, Native American tribes and the communities of the west. “The story starts with my memories of going to the desert as a child,” Lundahl said. “I grew up in Los Angeles post war, before they put catalytic converters on cars. The air pollution was extreme. The desert, the west, represented relief from the ills and pollution of society and the cities. -Lukas Eggen, The Ely Times. Read More. That is pretty much the theme of Robert Lundahl’s film “Who Are My People,” which will have its Nevada premiere Tuesday, the evening after Harry Reid puts on his perennial traveling planet salvation show, otherwise called the National Clean Energy Summit 6.0, which advocates building industrial-scale wind and solar projects on public land throughout the West. Thomas Mitchell 4thST8. Read More. A new documentary exploring the impact of large-scale renewable energy projects on desert ecosystems and American Indian heritage will make its Nevada debut at the Clark County Library on Flamingo Road at 7 p.m. Tuesday. The film “Who Are My People?” focuses on ancient geoglyphs — basically giant landscape drawings created thousands of years ago and meant to be viewed from the sky — in an area designated for solar power development near Blythe, Calif. But it also serves as a broader attack on the Obama Administration, which filmmaker Robert Lundahl contends is encouraging rapid utility-scale green energy development on public land without properly addressing concerns raised by tribal leaders and environmentalists. -Henry Brean, Las Vegas Review Journal. I just had an interesting conversation with John Boyd, the Associate Producer of “Who Are My People?” http://whoaremypeople.com. He is a Native American, whose ancestral roots go deep into the Northwest via his Elwha Klallam/Arrow Lakes ancestors, but John tells me the film he has co-written is not about “Indians” though several Native American elders and communities are the film’s subjects. “It could just as easily have described the disappearance of so many middle class homes from Muncie, Indiana” – where Boyd taught English at the University – or the present confrontation between the inhabitants of Boulevard and the industrial scale wind farms that threaten to encircle it. -Roy L. Hales, Originally published in San Diego Loves Green, Read More. (LAS VEGAS) – It is no coincidence that the Las Vegas premiere of “Who Are My People?” is on August 13. National Clean Energy Summit 6.0 takes place the same day. The Secretary of the Interior (Sally Jewell), Secretary of Energy (Dr. Ernest Moniz), Chairman Jon Wellinghoff of the Federal Energy Regulatory Commission and Senate Majority Leader Harry Reid will be there along with an array of Governors, Senators, former Senators, the CEO of the American Wind Association, the Director of the National Renewable Energy Laboratory etc. will all be at the summit. Filmmaker Robert Lundahl has invited them to the showing. -Roy Hales, Salem.news.com, Read More. Americans might scoff at such NIMBY sounding concerns. And yet, with some degree of fanfare, film director Robert Lundahl debuted his anticipated documentary “Who Are My People?”, a film which explores the conflict between Native Americans in the California desert and large-scale renewables, which they say are destroying their culture. And most Americans probably wouldn’t dispute that Native Americans have a valid position to take regarding the desecration of land that is holy to them. And yet, isn’t this another form of NIMBY? My point is, in denegrating the concerns of the British or the Kennedys as “just NIMBY-ism”, but exalting the arguments of Native Americans as a valid concern for their spiritual birthright, we are both valorizing and essentializing Native Americans and their connection to the earth, while implying that Western Culture has no legitimate claim to a spiritual connection with place. This is exactly what the Spanish are getting at- landscape concerns aren’t NIMBY-ism, they are about a Spanish territorial identity- an identity forged of a relationship to the land, dating back millenia, which is being rapidly changed by renewable energy deployment. -Miracle or Mirage, Patrick Donnelly-Shores. Read More. A massive proposed solar energy project south of Blythe that was suspended by its backers in January was formally canceled on Monday. The Rio Mesa Solar Electric Generating System, which would have put two 750-foot-tall power towers on a bluff in view of the Colorado River, had attracted criticism for its effect on fossil resurces and wildlife, as well as the cost of the power it would have generated. -Chris Clarke, KCET Rewire, Read More. Three months ago the California Native American Heritage Commission declared the Ocotillo Wind Farm site a sacred Native American cultural landscape and burial ground. The Board of Supervisors should take note that attitudes around the world are changing. -Roy Hales, San Diego Loves Green. Read More. On July 1, BrightSource formally abandoned its planned Rio Mesa Solar Electric Generating System (SEGS) project after facing issues including fossil finds, wildlife issues and opposition from some environmental groups and Native American nations. The 500 megawatt project would have consisted of two 750-foot-tall solar power towers. The company formally cancelled the project by sending a letter to the California Energy Commission (CEC), which withdrew its Application for Certification with the commission in a short letter, with little explanation as to why it was abandoning the project. The withdrawal of the project comes after significant delays, including when the company mothballed the project in January 2013 after receiving approval from the California Public Utilities Commission (CPUC) in October 2012. The project has faced many obstacles including a newly discovered Ice Age fossil bed. However, the project also faced steep criticism from the Native American community, even partly inspiring a documentary, “Who Are My People?”, that dealt with how many large-scale solar projects were approved by the Bureau of Land Management and others, despite outcry from the Native American community, chief among them the Chemehuevi, Quechan nations and by the La Cuna de Aztlan Sacred Sites Protection Circle, which filed lawsuits against numerous solar projects on the basis that they disturbed scared lands and hieroglyphs and geoglyphs. -Chris Meehan, CleanEnergyAuthority.com. Read More. 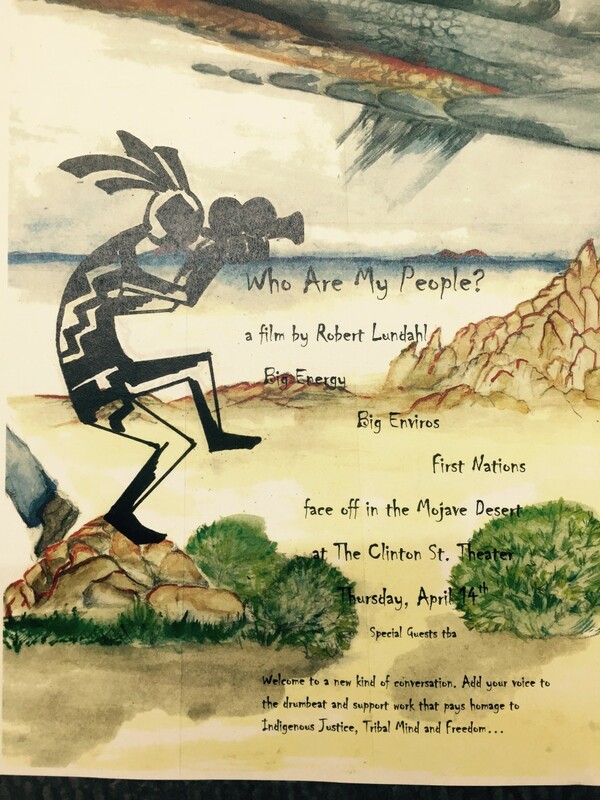 Documentary filmmaker Robert Lundahl’s latest work, “Who Are My People?,” explores the effects of large-scale solar energy developments on Native American spiritual and cultural connections to Southern California’s scorched outback of creosote and alkaline lake beds. At the heart of the dispute is a contest between Native American traditions and developers and government officials who contend benefits from the projects such as greenhouse gas reductions and renewable energy production outweigh their disturbance of cultural resources in the bleak desert terrain. -Louis Sahagun, Los Angeles Times. Read More. Who Are My People?, a documentary by Robert Lundahl, premiered on Saturday in San Diego, California. The film explores the disconnect that occurs when non-Indians assume that using sacred ground for renewable energy is an automatic benefit that must outweigh the rights of the land’s indigenous peoples to their ancestors’ history and ongoing traditional practices. -New Day, Daily Kos. Read More. Robert Lundahl’s film “Who are my People?” describes a collision of Worldviews. The US was catching on to the reality of Climate Change and had not yet realized that all “green technologies” are not necessarily good, or even environmentally friendly. As California’s business community embarked upon a crusade to carve out solar farms from the desert, they found ancient people in the way. A new documentary, “Who Are My People?,” is stirring controversy around some of the giant, utility-scale solar projects that are emerging in the southwest desert. The documentary, by filmmaker Robert Lundahl, looks at these projects through the eyes of Native Americans, who have challenged numerous projects planned for California’s Mojave Desert. Some of the desert land is considered sacred to certain Native American nations. -Chris Meehan, Renewable Energy World. Read More. June 20, 2013 (San Diego)–EMMY® Award winning filmmaker Robert Lundahl takes a hard look at U.S. energy policy and its effects on desert ecosystems, Native American tribes and communities across the West. The film has special relevance locally, where major energy projects in San Diego and Imperial Counties have sparked legal actions as tribal members seek to protect their heritage and sacred sites from destruction. -Miriam Raftery, EastCountyMagazine.com. Read More. During the course of shooting for his film “Who Are My People,” discussed at length in my piece in East CA, Filmmaker Robert Lundahl attended a September 15, 2012 scoping meeting for the proposed Rio Mesa Solar Electric Generating Station in Riverside County, later mothballed by its developer. He captured on video what seems to be a remarkable failure by the Bureau of Land Management to live up to the agency’s legal obligations to consult with Native tribes, and he’s made that available to us here. -Chris Clarke, KCET, Rewire. Read More. Lundahl’s forthcoming film “Who Are My People?”, a one-hour exploration of conflicts between Native people anxious to defend their culture and the rush to develop the desert for utility-scale solar power, is a compelling and personal examination of the latest episode in the saga of the displacement of this land’s original inhabitants. But the film isn’t a mere attempt at “objective” documentary. It’s a profoundly personal statement about how we live in the Californian landscape. -Chris Clarke, KCET, Socal Focus.